What can you do when multiple physician suicides strike your local medical community? If you are Candace Barr, CEO of the Lane County (Oregon) Medical Society, you build and fund a local Physician Wellness and Crisis Intervention Program. I consider this to be a Best Practice for a community organized and funded physician wellness program. Please read on to learn more. 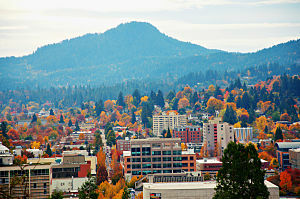 Lane County Oregon surrounds the idyllic community of Eugene. It is home to the University of Oregon (the Ducks), the Willamette and McKenzie rivers and one of the most active medical societies in the US. The CEO of the Lane County Medical Society, Candace Barr, and I have become friends as a result of our work together to address a tragedy in this western town. Eugene has suffered multiple physician suicides in the last five years. The exact reason for the cluster is not clear and Candace ("Candy" to her friends) did not let a search for etiology slow her down. She rolled up her sleeves, formed a local behavioral health network, a physician help hotline and a major fundraising effort. "I am trying very hard to set this up as a local county program because this works best as grass roots program and our physicians believe when people need help, they seek it at the closest, trusted, local source. I also think if county societies could develop and offer a program such as this, not only will it serve physicians well but it will keep societies strong and give physician employers a reason to pay their physician employee’s dues to the county society. That fact alone may entice societies to create a program like this." The Lane County Medical Society (LCMS) was the first county society in the nation to create a physician wellness program (PWP) in 2012, that appears to mitigate the barriers that have traditionally kept physicians from seeking the care they deserve. Those issues are: confidentiality, privacy, reportability, time constraints, concerns about an electronic record breach, locating a psychologist, psychiatrist or physician coach who understands physicians’ issues, any association with 3rd parties, and the cost of care if insurance wasn’t billed. 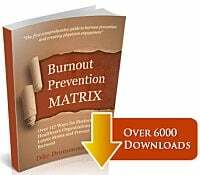 The Society also sought to change the culture of silent suffering and shame around asking for help to one where stress, strain and burnout are openly discussed and the PWP is readily recommended. LCMS worked with the Oregon Medical Board, the state licensing agency, to change mandatory reporting around mental health services, now, only treatment for conditions that impair a physician’s ability to practice medicine safely, is reportable in Oregon. Up to 8 complimentary sessions with a seasoned psychologist and 2 sessions with a certified physician coach; appointments available at physician convenient times from 7 AM to 7 PM. ; the guarantee of confidentiality – no diagnosis, no insurance billed, no electronic record, only a minimal paper record. The program is physician initiated only, separate and independent from 3rd parties. The program employs a 24/7 support line, for use by physicians and their families, staffed by mental health professionals. The support line number appears on the masthead of every monthly society newsletter. In 36 months of operation 52 physicians (LCMS membership is 775) have used 188 appointments in a private room set aside at the Society headquarters. With counseling firmly established, the focus has turned to prevention and education around burnout and resilience building. The Society hosted burnout prevention day with nationally known author and speaker Dr. Dike Drummond. 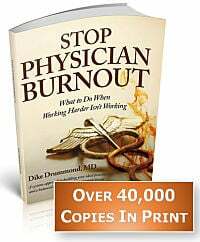 Dr. Drummond presented workshops during the day to advance medical practitioners and the day culminated with a burnout prevention session to over 240 physicians and spouses. Mayo trained former family medicine physician, Dr. Drummond, has become a regular collaborator with the LCMS and returns May 30 to speak at a state-wide clinician wellness conference in Eugene. The society has developed a number of wellness writers who submit articles monthly in the Society newsletter. The program has been cited in The Washington Post, The New England Journal, The HappyMD, KevinMD, TedTalks, the journal of the Oregon Medical Board, the Oregon Medical Association, The Scribe and other publications and blogs. CEO, Candice Barr, who created the PWP, speaks regularly about the program and has generously shared it with her county society colleagues. She assisted Medical Society of Metropolitan Portland duplicate the LCMS model in just 3 months. After a presentation at the request of the Lexington County Medical Society, their Board of Trustees voted unanimously to create a physician wellness program based on the LCMS model. Additionally, 9 other county societies from coast to coast are in the queue to learn about and possibly implement this successful model. Ms. Barr will speak at the AAMSE Annual County CEO meeting this summer in Portland, Oregon about how to create a meaningful and successful Physician Wellness Program and is willing to assist CEOs serious about duplicating or creating programs of their own. Although provided at no cost, it should be noted the Lane County Medical Society’s program, templates and materials are copyrighted and available with the permission of the Society. To date, the Society has raised over half a million dollars toward their goal of creating a $1 million dollar endowment. It is notable that local hospital systems who employ physicians have not only paid the dues to the Society for their employed physicians, but have contributed heavily to the operation of the program and endowment. It is also notable that this program has struck a chord with Society members who are not only fiercely proud of the program, and a Society that has its members’ well-being at the core of their mission, but have also individually contributed over $200,000 to this initiative. It is the Society’s fondest desire that many county societies will adopt this profoundly important program so their colleagues across the nation will enjoy the same benefits that Lane County physicians have come to treasure. There you have it in Candace Barr's own words. A program that is rapidly becoming a best practice for medical societies nationwide was born from a local physician tragedy and a small group of people who's desire to help has overcome all obstacles. What wellness activities are centered in your local medical society? 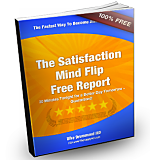 How can Candace and I help you get them accelerated or started up in the first place?